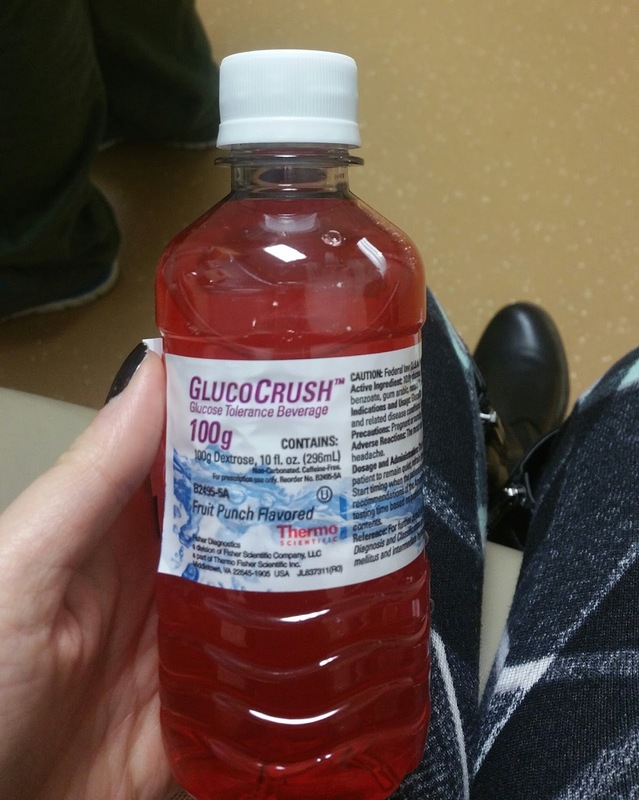 3 hour glucose test: 11/4/16 - passed! 8/19/16 - Had 4 vials taken today, never had that much taken before, I ended up feeling very dizzy and was seeing stars. I had to sit still for a while and drink apple juice. I am definitely not a fan of having blood work done! 8/25/16 - Met with the nurse to go over my medical history, then she gave me a packet of information to take home. She explained everything in the packet and things I need to do, so much to it! 9/2/16 - 2nd ultrasound - this was an extra long ultrasound as they needed to take measurements of everything. 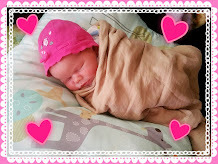 Baby is doing great and all measurements are as they should be, which was such a relief. We wanted to film this ultrasound as they would be confirming gender, but we were not allowed. Instead they had us look away as they wrote it on an ultrasound photo and we went home and did a reveal video. We are having a girl and we are so excited! 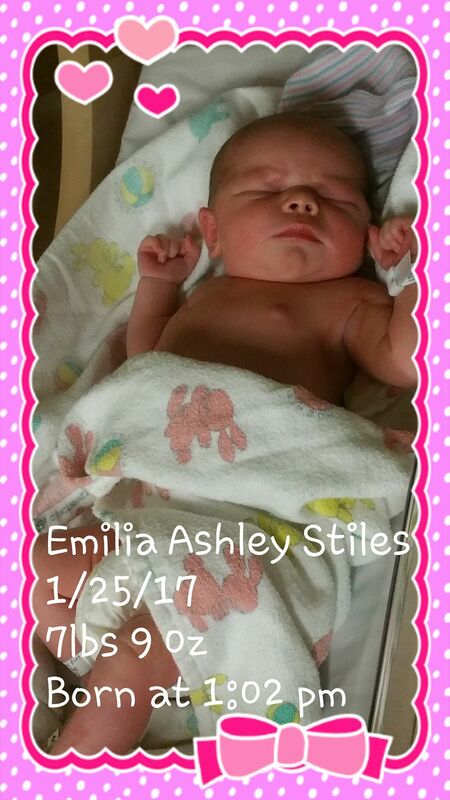 Name will be: Emilia Ashley Stiles. We can't wait to meet you! 10/3/16 - 2nd doctor appointment went very well. 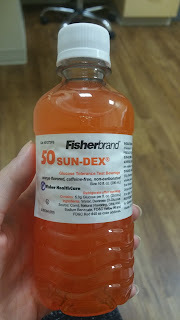 Doctor confirmed that everything is going great with baby and I am right on track with size and weight. Size is 25cm and weight is 128lbs. We listened to baby's heartbeat and it was 150bpm. She even kicked during the listening ;) Doctor was pleased with movement and heartbeat, very active and happy baby she said. I was given the drink to do the glucose test which will be on 11/1. I have heard people either like the drink or hate it so we shall see what I think. I will need to drink this in 5 min and then get my blood drawn within the hour. Very time sensitive. Good news is my blood type is A+ which means I will not need all the other tests that are required if I had a minus blood type so that is a relief :) Stay tuned for next appt! 11/14/16 - Another great appt. 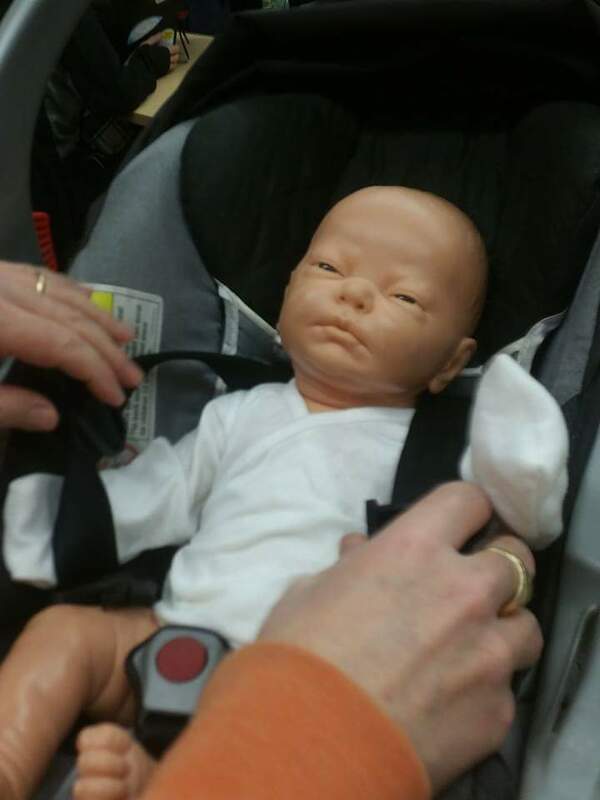 Weight was 138, uterus measuring correctly, baby's heartbeat was strong and steady at 140. We discussed my birth plan, getting signed up for classes and finding a pediatrician. I will now be going every two weeks until week 36 then it will be every week. 11/28/16 - Appt went well. Met with another doctor today. Uterus is measuring correctly, 32 cm. My weight is 141.8 lbs. Baby's heartbeat was 150. 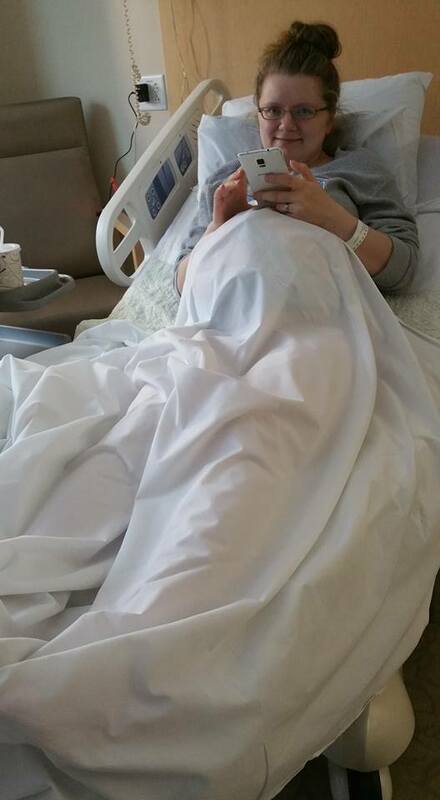 I let the doctor know that I think I experienced braxton hicks contractions the night before on 11/27. My stomach was tight and I felt like I was having menstrual cramps. The doctor informed me that this was braxton hicks. 12/05/16 - Tonight was the first lamaze class. Everyone introduced themselves and said what they were having. Most everyone is having a girl, only 2 with boys. We watched a couple of videos and then took a tour of the delivery ward. We saw the birthing rooms and the post partum rooms. We found the class very informative. We will have two more classes plus a basic childcare class. 12/12/16 - Went to another appt and met another doctor. My weight was 144.8 and baby's heartbeat was good and strong. Uterus was also measuring perfectly on target at 35 cm. Next week I will be 36 weeks and will be going to appts every week. 12/28/16 - Weight was 147 and baby's heartbeat was good and strong. Uterus was also measuring right on target and I am currently at 37 weeks. I am going every week until my due date. I have now met every doctor except for Dr. Lucas. 1/9/17 - Another excellent appt. Weight is currently at 150,4 and uterus is again measuring right on target. Baby's heartbeat was also sounding great at about 142 bpm. Today I was supposed to meet with Dr. Lucas, but he was unavailable. Also had WIC appt today and got qualified for food and nutrition assistance. 1/16/17 - Hubby brought me to this appt as I am now not driving until after baby is born. Weight was 154 and baby's heartbeat is 145. Uterus is also again measuring right on target. Blood pressure was a bit high at the start of the appt, but they checked again before I left and it was good. They also checked my cervix for any dilation, but nothing yet. Due date is this Friday!!! 1/23/17 - Thought my water had broke so I called my mom and she came out. We headed to the hospital, but turns out I had just leaked some fluid. I was not dilated at all so they sent me home, but had me go to my regular scheduled ultrasound and doc appt later in the day. The ultrasound showed a happy, healthy baby and all fluid in tact. I was still not dilated at my doc appt so we went home to wait. Mom is staying with us until baby arrives. Any moment now!